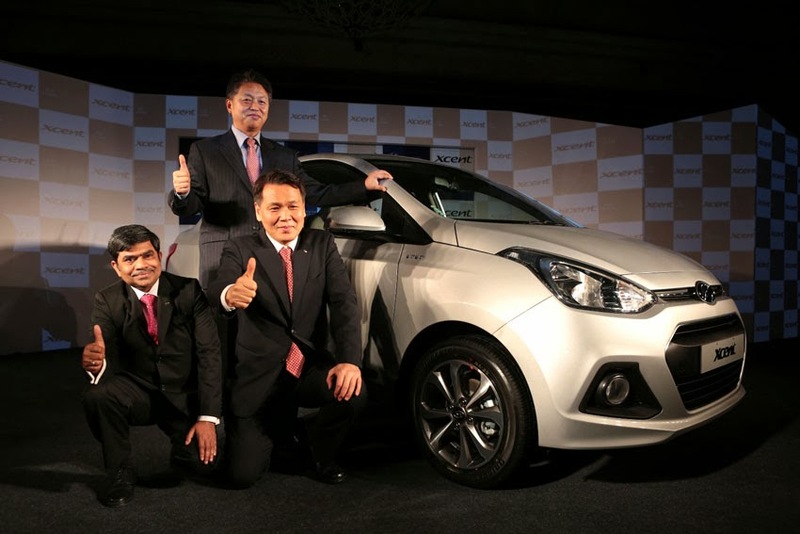 Hyundai Motor India Limited (HMIL) unveiled its highly anticipated compact sedan 'Xcent'. The global unveil marks Hyundai's entry into the compact sedan segment in the Indian auto industry. at HMIL are proud to launch the modern family sedan in India. Xcent symbolises Hyundai's commitment to Indian customers by offering high standards of quality, durability and reliability. Xcent with its excellent value proposition and its unique first-in-segment features will serve a wide range of customers in India raising the benchmark in the segment," said B.S. Seo, MD & CEO, HMIL. Xcent will be available in two engine options - Petrol and Diesel. The engines have been tuned for optimum performance and fuel efficiency. The Manual and Automatic transmission will offer the customers a wide range of options suited to their needs. The Hyundai Xcent has been developed with a focus on the Indian driving needs and lifestyles. The car inherits Hyundai signature mature 'Fluidic design' and style theme to meet the Indian customer aspirations. This 'Made for India' sedan has been developed keeping in mind the requirements and aspirations of the Indian customers. The Hyundai Xcent is for the modern and contemporary Indian customer who is aspirational and seeks higher value. Hyundai Xcent is a true expression of Hyundai's 'Modern-Premium' brand philosophy. The best-in-class and segment-first features, style, optimum performance and fuel efficiency set a benchmark in the compact sedan segment.